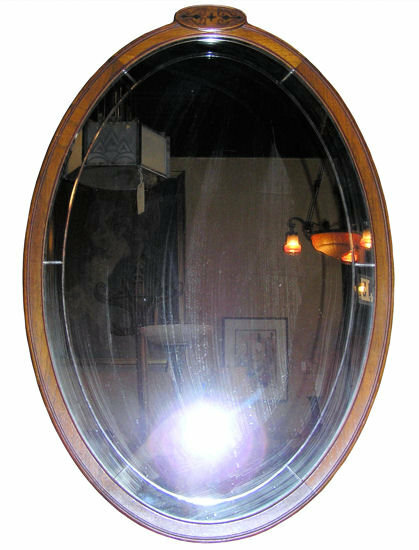 This antique mirror measures 32" high and 23" wide and features pretty floral inlay at the top. Likely dates from the early 20th century. 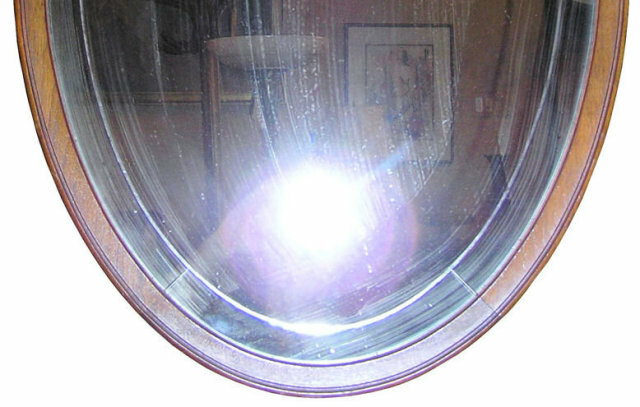 This item resides on the upper west side of Manhattan ( New York city ) and may be seen by appointment. 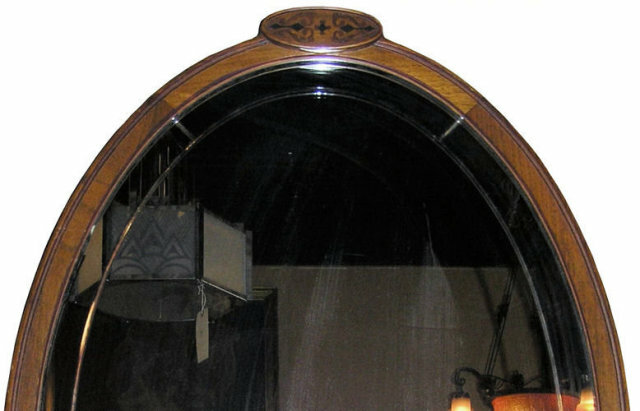 Items Similar To "Oval Fruitwood Wall Mirror with Floral Inlay"